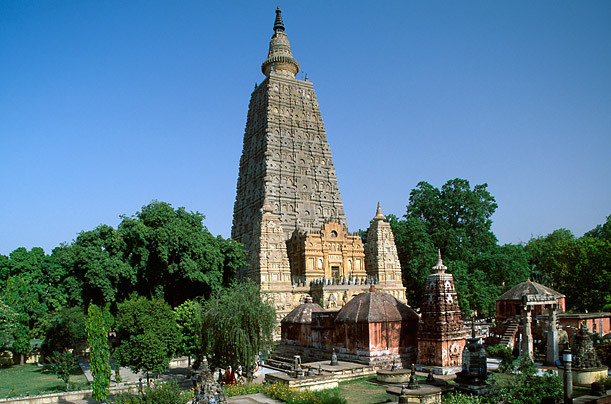 Buddhism was founded on the teachings of Siddhartha Guatama, a prince in Northern India (now Napal). The legend goes that when Siddhartha was born someone prophesied that he would become a great leader and a religious figure. His father, the King, wanted him to follow as the leader of their kingdom and so decided to shelter Siddhartha from contact with any of the suffering and conditions that would usually make a person question the reason for things and thus become interested in religion at all. He made sure that Siddhartha's time was mostly spent in palaces and any people he would see in their cities demonstrated happiness and prosperity, with no sign of suffering. This is how Siddhartha lived his life. He got married and had a son, all in ignorance of the regular workings of the world. That was until he was 29 years old and was out visiting the city, outside the palace and he saw what Buddhists call The Four Sights. 1. An old man, struggling with his tasks because of old age. 2. A sick man, lying by the side of the road because he could not help himself. These four sights were Siddhartha's introduction to the state of man's life, that we struggle for existence and in the end will die. This cause a moral crisis in him, something most people deal with over the whole period that they grow into adulthood. Siddhartha was greatly troubled by what he saw. He first left his palace home and wandered the country. He decided to take up meditation to understanding the meaning of life. He found that after meditating and achieving peace, all your problems would just return again. Siddhartha then tried an ascetic life then, depriving himself of food and other necessities. He only found himself starving and ill. Finally he settled on a Middle Path, choosing a moderate lifestyle which included meditation and living simply. It was then that he reached a level of understanding his meditation. He had been meditating under a Bodhi tree at Bodh Gaya, India when he got a revelation. He saw the record of all his past lives and saw how the good and bad deeds of people lead to their cycle of death and rebirth. This level of perfect wisdom and peace was called Nirvana and can only be reached by those who are enlightened. This was the sign that Siddhartha had now escaped the cycle of reincarnation. Siddhartha felt that he should teach his findings, the Dharma, to others. He went around telling others and soon got a small following. From this point he was called the Buddha. Men who joined him as monks became bhikkhus sangha, and women who joined and became nuns were called bhikkhuni sangha. Buddha's enlightenment happened when he was about 35 years old. He spent the next 45 years preaching the Dharma and lived to age 80. He died in 486 BC, reaching the state of Parinirvana: complete peace and release from reincarnation. 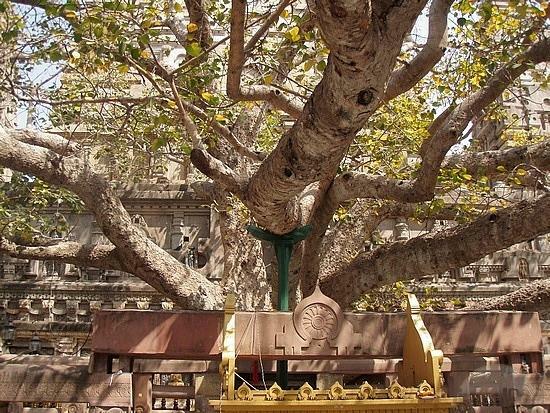 This is a Bodhi tree, this is where Siddhartha spent his time in meditation before reaching his enlightenment.